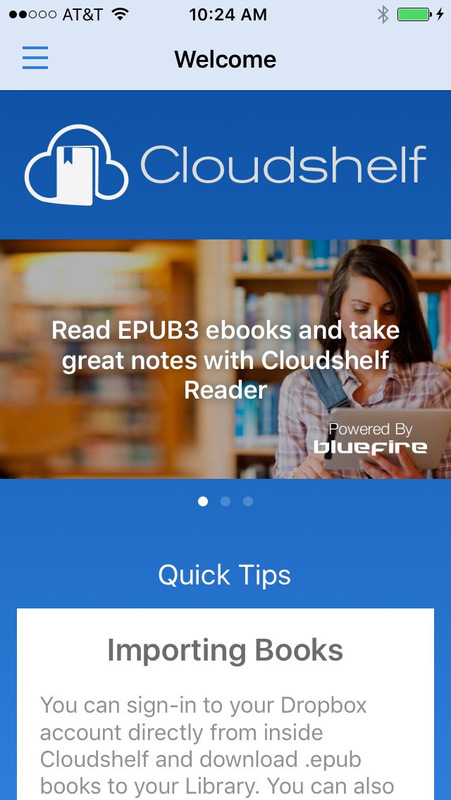 Cloudshelf Reader is the new EPUB 3 reading app from Bluefire Productions, the creator of Bluefire Reader. Based on the Readium Open Source project, Cloudshelf Reader is a full-featured ebook reading app that makes reading EPUB 3 content a great experience. 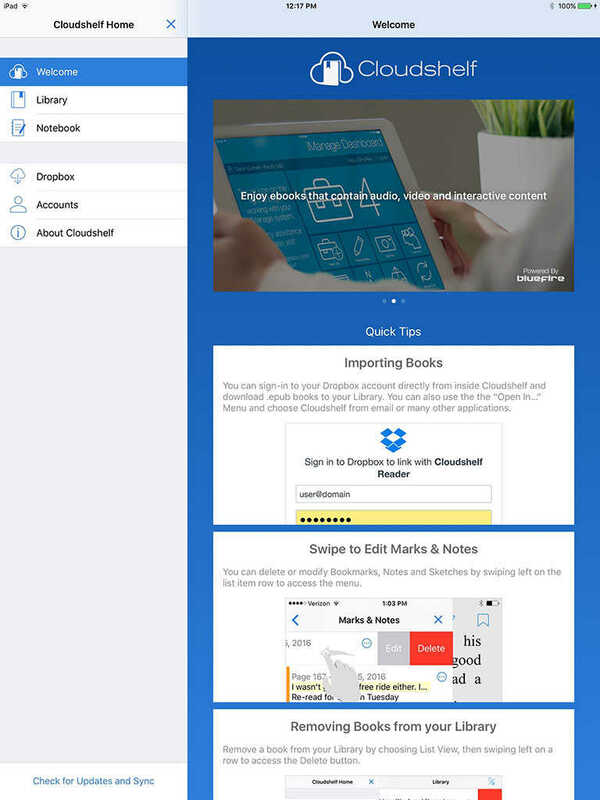 Cloudshelf Reader allows you to read, navigate, bookmark, highlight text, take notes and even draw on the pages of your ebooks. Cloudshelf Reader supports EPUB 3, the accessible, open web standards based document format that can contain video, audio and interactive multimedia content in either reflow-able or fixed layouts. We hope you enjoy Cloudshelf Reader -the best way to experience EPUB 3. - Improvements to page margin handling.